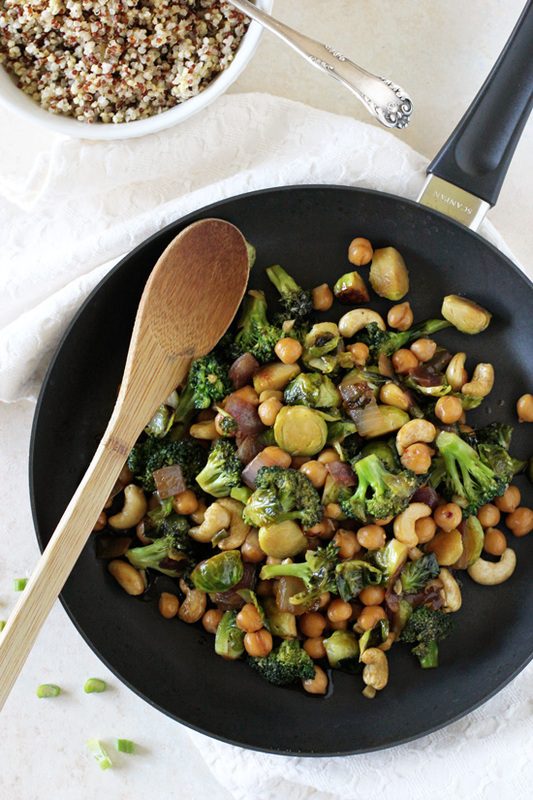 Fry all ingredients with 1 tsp of olive oil in a wok and add teriyaki sauce to finish! Sauté onion in a small amount of olive oil (add a splash of water if things start to stick). Add sweet potato, garlic, and curry powder after 3 minutes. Sauté for about 5 more minutes, until everything is tender. Add can of tomatoes, lentils, broth, and water. 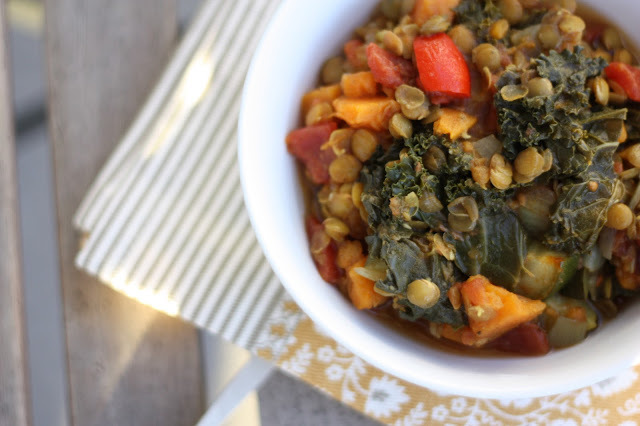 Simmer on low heat for 45 minutes or until lentils are tender. Add kale and red pepper at the end, so they don’t get soggy, and cook for about 10 more minutes! Cut the cauliflower into medium-sized florets. Chop the potatoes into 3/4-inch chunks roughly. 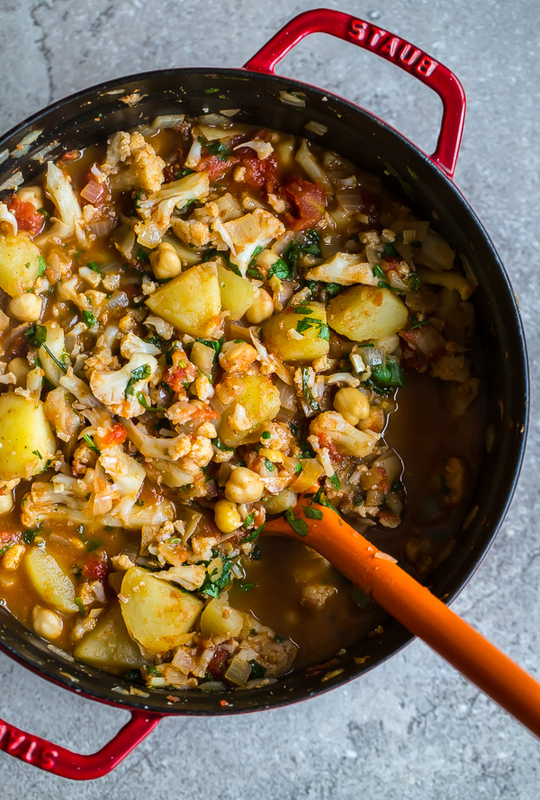 Place cauliflower and potatoes in a large soup pot and fill with cold water. Season the wall heavily with salt. Bring to a rolling boil over the stove. Remove from the heat immediately, and drain gently into a colander. Place colander over the pot to stay warm while you prepare the remaining ingredients. Heat the oil in a large, heavy pot Add the onions, garlic, and ginger, and saute, stirring every few minutes, for about 8 to 10 minutes, or until the onions are very soft and translucent. Adjust heat if necessary. Add the ground coriander, cumin, red pepper flakes, star anise, and salt and pepper, and cook, stirring frequently, for 2 to 3 minutes, or until very fragrant. Add the tomatoes with their juices and drained chickpeas, and stir mixture together. Add the cauliflower and potatoes. Add the vegetable broth (or water, if using)--the broth/water should almost reach the top of the vegetable mixture--and bring to a low simmer. Simmer mixture for 10 minutes, stirring occasionally, until the cauliflower and potatoes are fork tender. Stir in the garam masala and coconut milk, simmer for an additional 10 minutes, and season to taste with salt and pepper. Don't be afraid of salt--this dish needs heavy seasoning! Finish the soup by sprinkling and stirring in 1/2 to 3/4 cup roughly chopped cilantro. 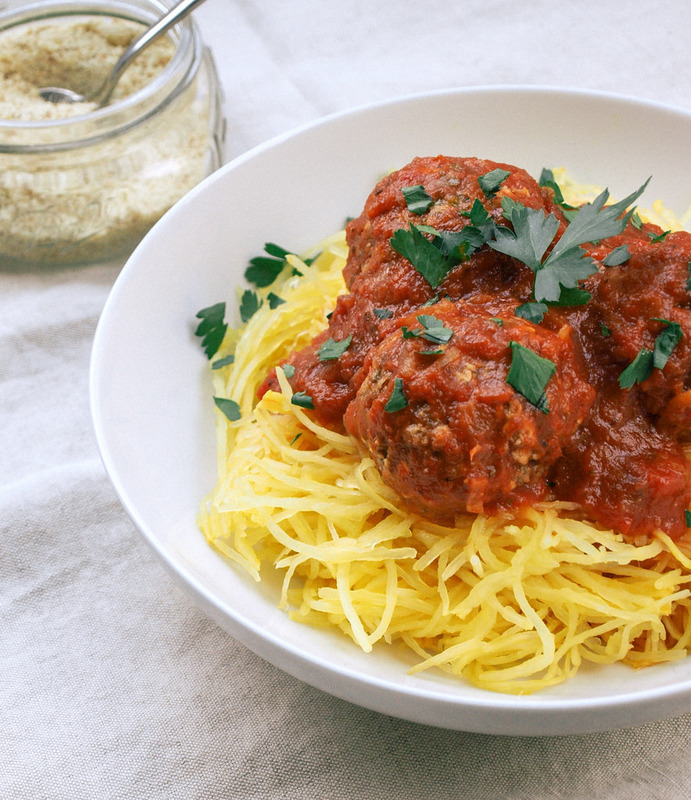 Serve with spaghetti squash pasta and tomato sauce (either homemade or store-bought). Place squash flat end down. With a [recently sharpened] chef’s knife, slice down the middle lengthwise. I like to use a “rocking” motion to cut through. Sprinkle with Herbamare (or sea salt) and freshly ground black pepper. Place on a baking sheet lined with parchment paper, cut side down. The salt & pepper you just sprinkled on will stick to the oil. Roast at 375F for around 35-45 minutes, or until you can easily scrape strands away from the squash. The outer yellow skin will also deepen in colour. Baking time will vary depending on the size.